Enjoy Holland in the springtime in an unforgettable way, exploring enchanting Dutch landscapes by wheels and water during our Tulip Sail & Bike tour. Smell the tulips when cycling through the countryside, feel freedom in the breeze while sailing across the Wadden Sea and IJsselmeer, and enjoy comfort and camaraderie on the beautiful sailing ship the Leafde fan Fryslân. During this fascinating Sail & Bike trip, you will discover the best tulip areas that the Netherlands has to offer. Not only will you visit the famous Keukenhof gardens, known for its hundreds of thousands of blooming tulips, hyacinths, daffodils, and other bulb flowers. 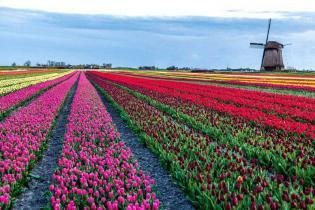 You will also bike through less famous, but equally gorgeous areas where tulips bloom in the spring months. A visit to the Hortus Bulborum is also on the program, giving you the chance to ramble through this unique garden museum, dedicated to the preservation of rare and historic bulbs. 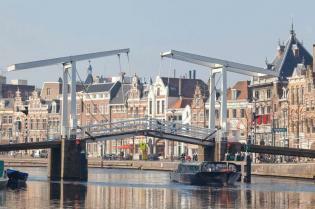 But it is not only about tulips; during your week-long Sail & Bike tour, you will spend plenty of time in the historical cities of Haarlem and Alkmaar — gems hidden from mass tourism. You will discover typical Dutch cultural highlights and cycle through pleasant, flat polders, the result of centuries of extensive land reclamation from the North Sea and the former Zuiderzee (now IJsselmeer). The region you will cycle through has undergone such extensive impoldering, that you will soon realize the truth behind the proverb, “God created the earth, but the Dutch made Holland”. Given the Dutch love for cycling, the region is crisscrossed with many quiet cycle tracks that stretch from one end of the region to the other. 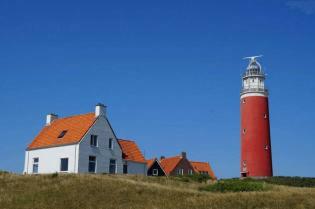 You will be amazed by the beauty and expanse of the North Sea beaches, the extremely bicycle-friendly island of Texel, the splendid flat landscapes, small dreamlike farm villages, and romantic, picturesque harbor towns. And all of this completed with the occasional fields full of beautiful flowers. 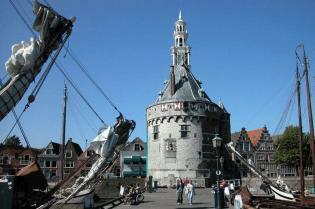 During the second part of the tour, you will sail across the large lake IJsselmeer to Enkhuizen and Hoorn. If you like, you may — instructed by the experienced crew — lend a hand during navigating and hoisting the sails. Sailing experience is not necessary. Of course you are also very welcome to just relax and enjoy the sailing and scenery. The sailing ship Leafde fan Fryslân, an imposing, three-mast barquentine, made its maiden voyage for Sail & Bike tours in spring 2018 and is managed by its owner-operators, Joris and Rinske de Wit. For many years, they have run the sailing ship Mare fan Fryslân. The interior of this luxury ship can best be described as refined. The Leafde fan Fryslân will be sailing the Frisian Sea Tour (unguided) and the IJsselmeer tour (guided). On the lower deck you will find the restaurant in nautical style, where the carefully prepared sumptuous meals are served. In the wheelhouse on the upper deck, the Leafde fan Fryslân offers a cosy lounge which is equipped with large panoramic windows, a well-appointed seating area , TV and a well equipped bar. Wi-Fi is available. The best views over the water are available here and on the deck, where you can also have a seat when the weather is nice.